Jeremy R. asks: I wanted to know what the point of the crazy clothes you see at fashion shows is? Does anybody actually buy these? Fashion is an evolving beast with the fashionistas of the world endlessly attempting to create impossibly fabulous and unique new outfits for fashion shows. A commonly seen element of such outfits is that they’re often impractical, unwieldy and, to the layperson, hilariously bizarre looking. So why don’t fashion shows just show off clothes people might actually want to wear, instead of going with outlandish outfits? It turns out, although not as popular as runways shows intended to show off the latest so called “high fashion” pieces, Prêt-à-Porter (literally, “ready-to-wear”) shows are held every single year by most of the top brands in fashion. Said shows, meant to show off what’s going to be “hot” next season, invariably feature regular items of clothing and outfits mostly identical to what we, the customer, will eventually be able to buy in stores, or at least, some version of them. The fashion show pieces usually have a few minor alterations made to accentuate a given model’s figure, rather than being cut more generically for the average consumer. Although popular within the sphere of fashion, these shows seldom receive the kind of high profile coverage Haute Couture fashion gets in the press- a fact that segues into one of the key reasons fashion at these particular shows is occasionally outlandish. The truth is that most of the crazy outfits you see have one real purpose- relatively cheap advertising. It turns out that creating a dress that looks like it belongs in Lady Gaga’s closet and featuring it prominently in a fashion show is a relatively inexpensive way to get eyeballs directed toward a particular designer’s body of work, which of course is also akin to why musicians like Lady Gaga frequently pull the same stunt. Wildly flamboyant or excessively fabulous items of clothing are naturally going to pique the interest of the press more and, as a result, outfits seen at high fashion shows have been getting progressively more ridiculous over the years. Think of it as a fashion arms race where the goal is to make an impossibly chiselled model doing their best to stay straight faced look as silly as possible. 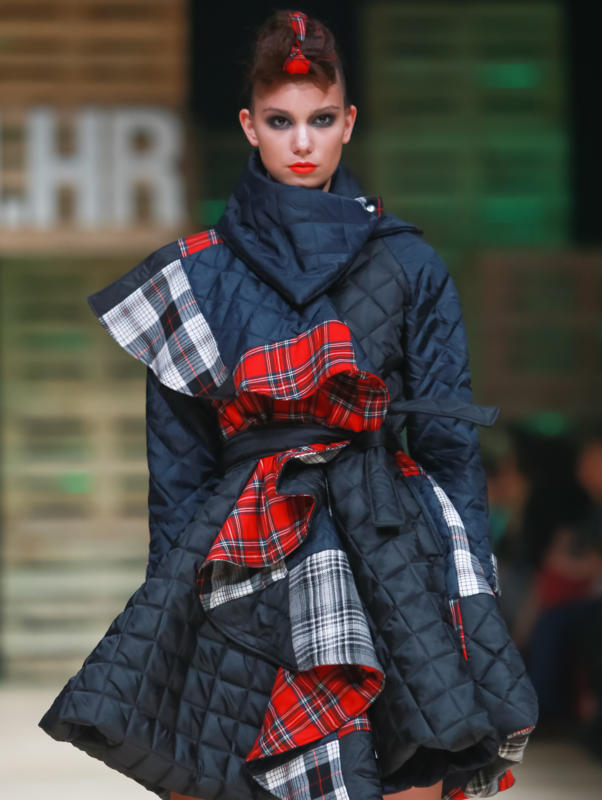 Looking beyond the consumer, these kind of shows are also noted as functioning as a proving ground of sorts for designers to show off their skills via demonstrating the extremes of what can be done with individual materials and fabrics. It should also be noted that while the clothes seen on catwalks during high fashion shows are generally never intended for sale, they do often influence fashion in some way. Said influences may be as subtle as the color scheme shown off during a particular show or the basic silhouette of clothing on display- a popular example of the latter being skinny jeans, which were widely mocked when first seen on the catwalk before becoming the following season’s “must have” item of clothing and now relatively ubiquitous. Of course, when using elements of a ridiculous design, it is usually the case that designers will greatly tone things down, drawing broadly on ideas presented with the more garish outfits worn by models to create something more palatable to the general public. A comparable practise in another industry is that of so-called “Concept Cars” created by car manufacturers. Like high fashion, these cars are generally designed more to both grab the press’s attention and within the industry to showcase things like a new manufacturing technique, material, or feature, rather than the company actually having any plans to manufacture and sell the car shown. But, again as with high fashion, elements from these concept cars are occasionally integrated into more toned down cars later available for sale to the public. But to conclude, the clothing at high fashion shows looks garish and ridiculous for a number of reasons, the most prominent among them being to score some sweet column inches in the news outlets of the world so as to also bring more attention to a given designer or brand’s less outlandish product. Why are Fashion shows filled with unwearable garments? Why is fashion so ugly? What is the point of fashion shows, and how do they influence the high street? Fashion shows are the most ridiculous things possible. I watch them sometimes with my brother and we just diss and point out how awful each outfit is. I couldn’t handle being a model if I had to wear that clothing. I’d be giggling the whole time! !